the seawater flake ice machine used on land has some different with the machine used on boat, The inside structure of MARINE FLAKE ICE MACHINE has been optimized a lot and solved many technical problems, uneasily falling of soft seawater ice, wavering of vessel, bad weather, etc. In order to overcome the corrosion of sea water, marine used ice flake machine uses specialized material for the pipe. 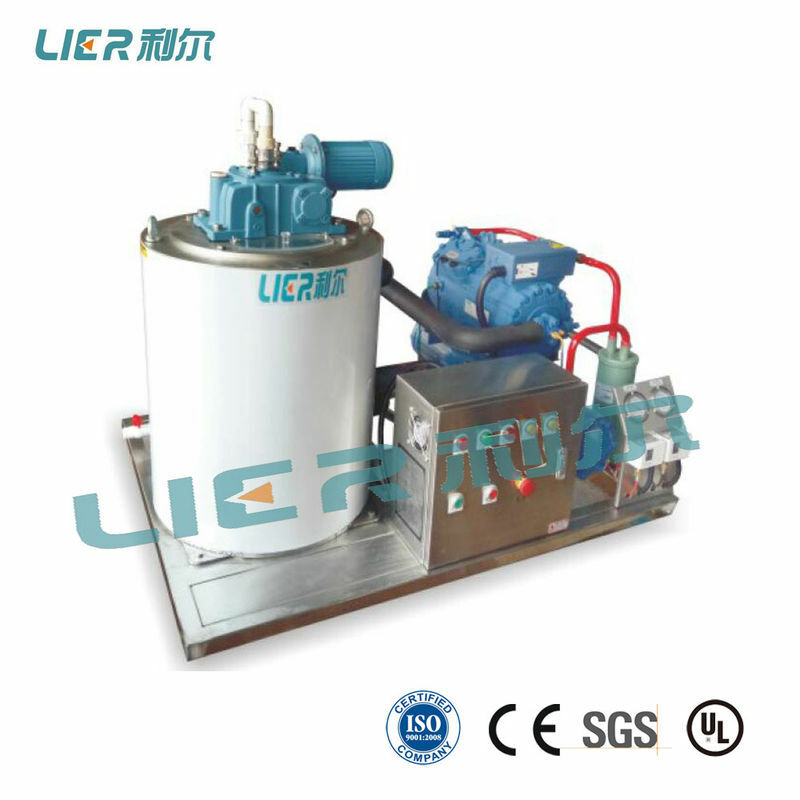 In addition, it adopts piston compressor with deepened oil tank in order to overcome violent shaking on vessel, and the marine used flake ice machinery can also keep working normally even if the vessel tilts 30 degrees on the sea. 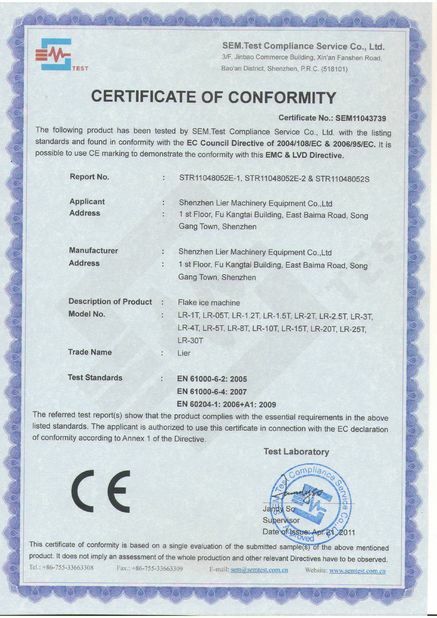 All our products pass above certifications and are through complete test before going out the factory without any fault. 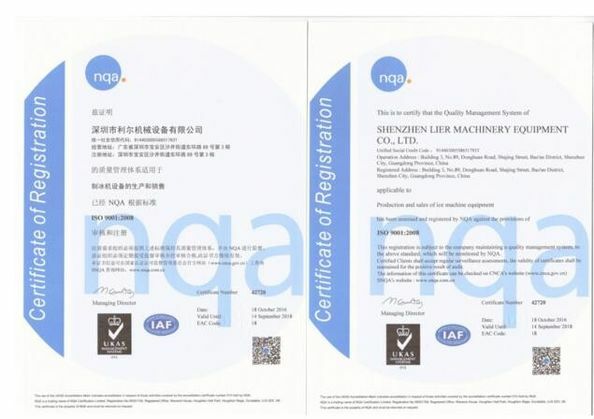 Shenzhen LIER Machinery Equipment Co.,Ltd.